Move-In Day at colleges and universities might be the closest thing we have to a rite of passage for American youth these days; as sacred as baby’s first steps, and as fraught with anxiety as baby’s second and third steps, which are somehow way too fast for baby’s little body. My Facebook feed these last days of August is a veritable overstuffed hatchback with photos and videos of my teary-eyed friends and their exasperated and overexcited teens moving into their college dorms. I can almost hear the tearful goodbyes and reluctant sighs from the University of Vermont, just up the road. Move-In Day is double parked, it’s hundreds of photos, hugs, and hardly letting go. It’s lugging bags up flights of stairs, tacking posters on cinderblock walls, and looking at shower caddies like they’re the only thing that will keep your child safe in the world. Are you wondering how long it’ll be after you finally drive away before they text you needing some help, like how many stamps you need to mail an envelope, and where they could buy them? Seriously, I saw at least one mother online who felt like a complete failure for not preparing her daughter for the world because of, well, stamps! Stamps is probably the least of your worries. In today’s day and age, your kid can pretty much get in touch with you at any place and time. Of course, that’s both good and bad; but I digress. With any luck, stamps will be all they’re looking for when they do inevitably call, but it probably won’t be. As a professional organizer, I could simply write about how best to decorate your teen’s dorm room, organize it for maximum efficiency and academic success, and remind them where they can buy stamps, but instead, I figured we should start at the beginning by settling our nerves and helping you feel more confidant and relaxed about the whole insane going off to college process. If not for your sake, then at least for your kids; anxiety is contagious, and they’re probably freaked out enough already. I have 6 years left ahead of me to prepare for this myself, but I’m not waiting till the last minute. My kids may only be 9 and 12 years old at this point, but I have two older sisters, four nieces and nephews who have all been through it, countless friends with kids in college, and an organizer’s penchant for gathering and organizing things, including ideas, good and bad, filing the mistakes in the waste basket and compiling list of the best ideas I’ve seen put into action. Lists are an organizer and parent’s best friend, here’s mine to help you get to college in one piece. Many parents, especially conscientious ones, are used to "helping" their kids study for tests, "reminding" them of upcoming deadlines, and "going over" their homework nightly; but one of the most important skills your child will need in college is to learn to do all this on their own. Don't stand in the way of your child's becoming a good student and a responsible adult by holding onto a high-school parenting model. Now is the time to take a step or two back, loosen up the reigns with regard to their academics, and let them develop their own tools to stay on task, meet their deadlines, and succeed on their own. Believe it or not, there is actually a part of college applications that asks if your child is an early bird or night owl, and whether they’re messy or neat. Is that the question where you’ll be tempted to lie??? It may feel as if it’s too late to train your less than tidy teen to pick up after themselves, but I assure you, it’s not. Take advantage of the months ahead, turn in your personal housekeeping uniform, and turn out your tousled teen; you’ll be doing them, and yourself, a huge favor. 2. Purchase a Planner and USE IT! One way to help you resign as manager, and help your teen become more independent, is to get them used to using an academic planner to organize their work load and assignments. As both of my nieces have independently told me, being organized with assignment due dates is a really BIG DEAL, so getting your teen used to writing down assignment, appointments, and due dates before getting to college will be extremely helpful. There are countless planner options at your local office supply store and on the Internet. Have your child pick a style or system that appeals to them, including digital ones, then have them experiment with it during their senior year. There are also tons of blogs on how students organize their college academic planners which could be helpful for your child to check out, so when you’re done reading this, go look for them. So many people have been through this already, we should all learn from their experience. Many college applications are due January 1, so set that date in your kid’s new planner, and yours, so you can have your applications in the mail before Christmas. Santa Claus isn’t the only one with a Naughty or Nice list…. If you want to enjoy your family time together and be more like a Santa and less like a Scrooge, your teen will need to stick to a schedule to get their applications done on time. Colleges will need to communicate directly with your teen, so it’s important for them to have appropriate Email addresses and outgoing cellphone voicemail messages. Studmeister2000 and Flygirl123 aren’t gonna cut it when it comes to corresponding with colleges. While it’s fine to keep these addresses kicking around for corresponding with friends, your teen will need to set up an Email address with their real name in it for admissions communications. Your teen may spend the next four years really finding their voice, but you can help them get started with a voicemail message that is at least mildly respectful and perhaps even marginally intelligible. Speaking of communications and making an impression, this next point should be highlighted in neon with a star next to it! This is something we didn’t have to think about when we were applying to college, but is an absolute must for your teen in 2017. Remind them, more than once, that anything they post on social media can affect their acceptance to college. There are college personnel whose sole job is to scour the Internet for information on incoming students, and that includes all social media platforms, message boards, etc. Photos of your teen drinking or looking promiscuous are going to communicate something to admissions counsellors whether you want them to or not. You don’t necessarily get a chance to explain the posts, comments, or photos, but you do have a chance to delete them before it’s too late. Your teen needs to be extremely careful about the overall content of their tweets and posts across the Internet spectrum. A good rule of thumb would be not to post anything they wouldn’t want their future employer, or you for that matter, to see. Harvard recently rescinded admissions to 10 students for offensive, racist and sexist Facebook posts; it happens. Whether your child meant those things at the time or not, a simple application and essay are not the only things representing who we are to schools anymore, so while we should all be endeavoring to be the best people possible, we should also be wary of the footprints we leave behind from the times when we were less than perfect. A good high school guidance counsellor should be harping on this point relentlessly, but as a parent, you should remind your kid constantly that they need to keep up with their academics, even after they’ve been accepted to college. Colleges are serious when they say they look at your spring transcript. Even if your child is a recruited athlete, or has three years of 4.0 behind them, letting off the gas senior year after they’ve been accepted somewhere can undermine everything. A “senior slump” can definitely result in a college revoking their offer, and leave you and your child scrambling to find a college to accept them. Remember collecting quarters and spending hours with your roommate at the local Soap-N-Suds? Well, these days machines take credit and debit cards; some colleges even pamper their students with on-campus laundry service! I’ve heard from one completely mystified mom that even though her son had laundry service on campus, he would often miss the drop-off time because, as her son said, drop-off was a block away from his dorm! You think that’s bad, I saw a post from another parent whose daughter called her from college to ask if you separate laundry by weight. Not kidding. Avoid the face-palm! Teach your kids to do their laundry now before it’s too late. The way we shop and pay for things is changing every day, but the way we manage what we consume, what we spend, and how we keep track of that is the same today as it ever was. Sit down with your teen and have The Talk. Discuss the difference between debit and credit cards; remind them that Campus Debit Cards are in fact drawing funds from a finite source, a source you or they are putting money into. Remind them also that they have four years ahead of them at least, and that money will need to last to meet all of their essential needs throughout that time. When you’re done with the big picture, conscious consumer conversation, you can politely, and humbly, ask them to teach you about Venmo and Apple Pay. While we’re on the subject of money… Financial Aid forms can take a long time to process, so if you’re applying for financial aid, make sure you start the process as early as possible. Your kid has gathered a lot of stuff over the years, much of which will find its way into boxes in closets and attics, but some of which will be heading off to college with them. Take this time to go through all your kid’s stuff, scattered through every room of the house, and make a list of the things that will definitely be going, and the things you’ll still need to get. After you’ve sorted through all their things, separate clothing by seasons in bins, bags, or boxes. You can't fit a lot of stuff in the average dorm room, so having things organized at home will make it easier for to send stuff to your teen as the seasons or the weather changes and they suddenly need their winter coat at school. What’s more likely is that come Thanksgiving or Winter Break, you’ll be ready and organized for a season swap, as they bring their summer stuff back home and pick up winter stuff for the season ahead. Check out your kid’s college website to see if they have a packing list and start there. You now know what you have and what they need, so you can start shopping early to make sure you don’t miss anything. Places like Bed Bath & Beyond actually have shopping lists for local colleges at the stores and on their websites, but you can also find a ton of lists and information on social media sites like Pinterest, where you’ll find more college packing lists than you can possibly imagine. The fact that you’ve made it this far is reason enough to take a deep breath. At this point you’ll have to trust that your child has relatively good head on their shoulders, they make mostly smart choices most of the time, and that everything in-between is part of them growing into adulthood. Besides, they’re likely never going to be more than a phone call or Uber away from you or an ATM, so they’ll probably be okay in the end. 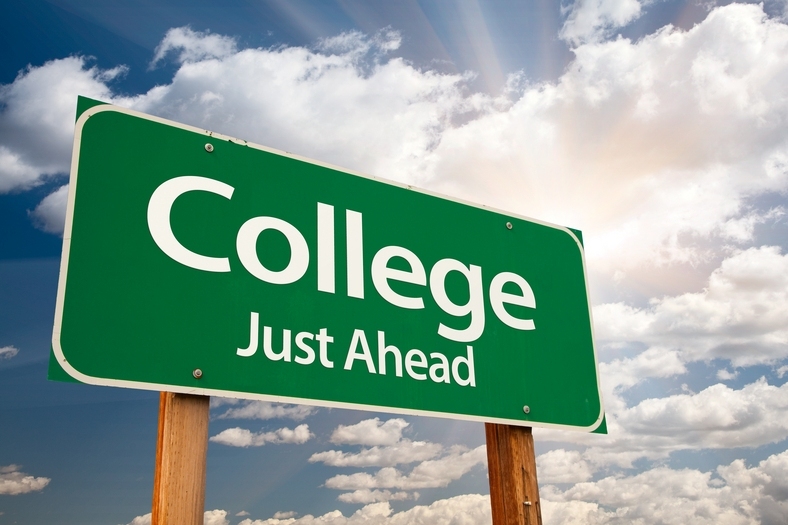 This list is not just for you, it’s for you and your college-bound teen. You should go through each of these steps side-by-side with your kid together, letting them not only participate, but take real ownership of the process as much as possible. I know, I know, it’s always easier said than done, especially coming from someone who hasn’t even been through it yet, but it’s helpful to remind yourself that it’s the journey that matters most, not the destination. With that in mind, enjoy the journey! Take pictures, share your progress, ask your questions, post your insights, pass it on, and have a blast. Baby’s fourth step is out of the nest, so learn to fly together! Get in touch with me at Streamline with Style to help you organize and stay focused, every step of the way!